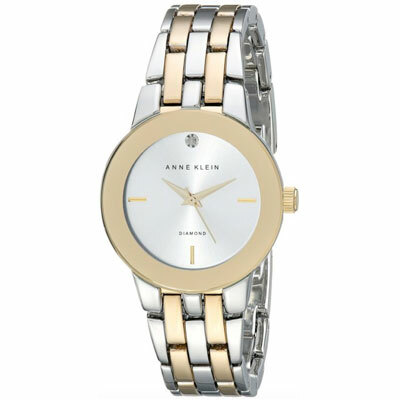 Cut a dash with your best ensemble with this fabulous timepiece from Anne Klein. 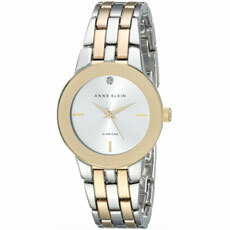 This watch features a round silver tone dial with gold tone hands and hour markers. A solitary diamond sits at the 12 o’clock mark. Gold tone mirror finish bezel frames the face. The bracelet is designed with gold and silver tone metal links secured by jewelry clasp links.